I am happy to share an excerpt from the book chapter one titled Mama's Burden Mama’s Burden As I paused by my tiny apartment, I signed as I took a look around me. Walls scribbled with graffiti were all over the halls. Garbage littered the floors. A bad smell of urine drifted up to my nostrils which always left me feeling nauseated. Stepping inside the lobby I saw the familiar form of the wino taking a nap on a garbage bag while other times one could see two or three heroin addicts passed out on the floor. I had to walk over one of them just to come inside the building. I lived in this ghetto neighborhood in Brooklyn New York along with my mother, father and little sister Greta who was eight years old at the time. Jerks sold drugs in street corners, and every night we had to practically duck in our sleep as gunshots rang out in the night. My father had been robbed at least three times and my mother once had her purse snatched. My father wanted to move us to a better neighborhood, but he couldn’t afford anything else at least not on the messenger job he had. He delivered packages for a living and that paid what he always called a pittance. He could barely pay the rent. Mama stayed home with my sister and me and it was up to her to see we made it to school every day and on time.especially when they called our parents cheap or something else. I hated to let anyone make fun of my parents even if I got suspended for fighting which happened on more than one occasion. This always made dad angry. “Tommy, every suspension you get in school pushes you back more and more,” he would tell me. “It’s not worth getting suspended not when you need your education which is your only ticket out of this dump. Don’t let stupid kids who will likely get stuck here set you back. Ignore them and just concentrate on your studies. I know it’s not the best education but it’s the only one available for now so make the most of it.” I tried to do that really I did but I hated this place. My mother She cooked and cleaned, but money was so scarce that our dinners always consisted of chicken stew and rice for dinner. For breakfast we were lucky to get oatmeal or just plain toast. Often when the rent was paid we didn’t eat breakfast at all and could only eat the stew by itself. We rarely if ever had dessert. The rent had to be paid first which meant sacrificing some food, we didn’t have any choice. During winter we never had heat while in the summer we sweltered in heat. Our apartment was tiny with one tiny bedroom that Greta and I shared with her sleeping in the small bed, while I slept on blankets spread on the floor. This especially sucked especially when roaches were crawling in the apartment all the time and I woke up repeatedly to shake them off me. I often woke up in the wee hours shaking the blanket then waking up to again shake them off me. I never had a full night’s rest for I kept an eye on Greta to make sure they didn’t crawl on her. Dad and mama slept on a beat up sofa bed in the living room which was the only piece of furniture we owned besides a small plank table. We didn’t own a TV or even a radio. Our clothes was just as scarce so we often wore the same things over and over again which led to teasing from insensitive kids at our schools who called us too poor to afford anything good. I tried to ignore most of that nonsense but sometimes I would get angry enough to deck someone especially they called our parents cheap or something else. I hated to let anyone make fun of my parents even if I got suspended for fighting which happened on more than one occasion. This always made Dad angry. “Tommy, every suspension you get in school pushes you back more and more,” he would tell me. “It’s not worth getting suspended not when you need your education which is your only ticket out of this dump. Don’t let stupid kids who will likely get stuck here set you back. Ignore them and just concentrate on your studies. I know it’s not the best education but it’s the only one available for now so make the most of it.” I tried to do that really I did but I hated this place. My mother especially really detested it. Her hatred of this neighborhood was making her very miserable these days. Not a day passed now that she didn’t yell and holler at one of us. Dad particularly felt her rage the minute he walked through the door after a long day at work. And he was always exhausted which never helped. I fished for my keys. My heart sank as mama screamed at dad again. I let out a deep breath as she lashed out loud enough for the building to hear and it was already a small building with thin walls. This happened every day now. I heard her clearly as I’m sure so did the rest of the building. “At least you get to escape this hellhole every day!” she was raging yet again. “You get to see people and you have an excuse to just get out. Me, what do I get to do? I just sit here cleaning, cooking, and waiting for you to get home. I don’t even have a TV set! I never see anything but roaches and Bridget Felder once in a while. Some company! But you don’t care! You never care!” Bridget Felder was our long time neighbor and friend. She was mama’s best friend. For mama to badmouth her proved how frustrated she was. I heard this before and I was sure to hear it all over again. I knew dad was probably sitting on our ripped up stained couch holding his face in his hands like he always did in the middle of these attacks. Mama continued berating him. “I have no life in this house just the same damn thing day after day! I’ve looked and looked for jobs but no one ever wants to hire me! I’m not good enough to work for anyone. But you don’t care! As long as you can escape that’s all that matters to you and to hell with me. That’s all you think isn’t it? To hell with me!” Dad let out a loud groan another sound that became familiar in the apartment. “Sandy please,” he pleaded again. “I do the best I can. You know that’s true. I really do the best I could with the little money I have. And my job is not as wonderful as you think. I don't make much but at least I make sure our rent is paid and we have food to eat even if it’s not the best food. I try hard give me credit for something. I never have money left over to buy anything for myself. I really don’t have anymore than you do. My sneakers are ripping at the seams and I can’t afford to get a good pair and I have to walk all day long.” Mama was unsympathetic which was not like her at all. “Oh yeah sure we have food. Oatmeal, grits, bread, cheese, and all the cheap crap you can get. How often do you get meat? It sure would be nice to have some chicken like Bridget does. It would be nice to go to a restaurant once in a while too. But no I have to stay here stuck with all the cleaning and two children whining all day long!” Her voice took on hysterical proportions. I cringed at that last sentence. What did she mean by that? She never showed resentment for staying home with us before. She always claimed she loved us. And why was she acting like this? I hated when she got like this but I hated when she and dad, fought even more which was so often now and I had to admit thanks to her. She started these fights as soon as he came home. I sighed again and if it wasn’t because I knew my little sister was cringing somewhere in our tiny bedroom, I would have rejoined my friends outside as they played stickball in the only yard we had next to our school. I often went there straight from school to practice my swings but not today. I had to look after my little sister who was really scared by all this fighting and I couldn’t blame her. It was scaring me as well. Finally with great reluctance I slowly opened our door. The moment I did mama turned on me like a green eyed tigress. “Where have you been?” she demanded before I could even close the door behind me. When I finally had it closed she shocked me by suddenly flinging a full glass of water in my face. Unable to move she then flung the empty glass at me, but I put my arm up blocking 5 it so it fell on the floor with a crash. Stunned I could only stare at her as water dripped down my face. She never attacked me like this before. She had rarely ever spanked me or Greta. I could only stare at her unable to move or react. “Where have you been?” she demanded again but this time dad grabbed her by the arm and nearly swung her across the room. His handsome face exploded with anger. “That is enough!” he boomed. “Look Sandy I have had enough of this! It’s one thing to pick on me when I come home but I will not tolerate you attacking the children! If you want me to move out then say that and I’ll do it since its obvious just the sight of me upsets you but leave the children alone!” “Oh shut up!” mama yelled as she turned to me again. “You’ve been out there playing silly games when I already told you not to. Disobey me again Thomas Hulette and I’ll break your arm!” For some reason she didn’t want me playing stick ball. I loved playing and did every chance I had but she was always getting on my case about but she never threatened to break my limbs before. I found myself scared. She never displayed this temper before. But after the way she came at me I didn’t dare contradict her not now. She never threatened me like this either so I quickly nodded as dad turned away in disgust. I sensed he was at the end of his rope with her and was trying hard not to explode again. He knew if he did it would make things that much worse like trying to detonate two bombs instead of one. No one in their right mind wanted to do that. “Okay mama, I won’t play anymore.” I said weakly. I was willing to say anything she wanted if it would calm her down. Suddenly she slapped me across the face and hard. Because I didn’t finish wiping the water she had flung at me the slap stung and burned my cheeks! 6 This time dad did fling her. She winded up on the couch and she was screaming even as she burst into wild tears. Dad was glaring at her hard but his face softened as it always did when she cried like this. He then looked totally helpless. He didn’t know how to deal with the storm that had become her and it hurt him as much as it made him angry. Helplessly, he clenched his fists but kept them at his side. She kept sobbing but then pulled at her own hair. Dad quickly seized her but I had to run to our room unable to watch her turn her rage on herself. It was bad enough to have it turned on me but I couldn’t stand this. I couldn’t understand where such rage came from but I couldn’t watch it. It filled my eyes with tears. I had to trap them though because I knew Greta, didn’t need to be more scared by my tears. What did an eight year old know about a mother who suddenly spent her days hollering about a life she hated even though she had children who loved her? I found her in her usual corner crying again. I sat next to her and took her in my arms as I’d been doing all week. I shook my head longing for mama to be what she used to be and it really wasn’t that long ago either. Greta was only eight while I was thirteen. She was a beautiful girl with all of mama’s pretty features. She had the same wavy red hair and green eyes mama had. She had those same long cheekbones and the same lovely smile. She was mama all over and mama had been so proud of this. Our lives were normal enough once or so it seemed to me. Greta and I only knew our tiny apartment but despite our struggles we were happy to have a mother and father who loved us very much. Daddy worked and mama stayed home with us. It was all good for a few years. There had been no screaming fests like the ones we saw now. 7 Mama listened to our stories about school and laughed with us at dinner. Every night she heard our prayers and tucked us into bed like any normal mother. She had been loving to dad always saving smiles and love for him too. She kept the apartment clean and made sure we all looked proper despite our pitiful collection of clothes. She made the most of our situation even making little cut up cardboard dolls for Greta to play with. And Greta did play with them. She couldn’t have loved real dolls anymore than she did those paper ones. She always accompanied us outside (I wouldn’t play stickball in front of her) and sometimes even played with us. We always got a kick of hide and go seek which was our favorite game but we loved tag too. I sighed again as I took Greta in my arms. She broke into sobs and I held her tightly. Didn’t mama see the damage she was causing here? Didn’t she care anymore? She always did before and I knew she did now. Daddy often told us that she never meant the things she said and that she did love us and I had to believe it. I had to make sure Greta did too. “Mama hates me.” sobbed Greta as I stroked her hair. “She screamed at me today Tommy. She blames me and you for ruining her life. She said it was our fault!” That shocked me. Mama blamed us for ruining her life and on top of that she screamed that out to her own eight year old daughter? I winced at the thought but I also winced that she would say that and worse mean it. Had she meant it? How could she even say it for how did we ruin her life? Even so, I couldn’t say anything but what needed to be said. “Oh no Greta don’t you believe any of it. Mamas mad at the world not you. Dad told me she’s been getting more and more frustrated at not finding the job she’s been looking for. It’s really making her mad but it’s not our fault. Mama didn’t mean to say such a thing. Sometimes grown ups say things they don’t mean.” 8 That was true enough but it still sounded lame to me. Mama had no reason to blame us for her life turning out the way it did. No one forced her to have children. And why did she act as if she was the only one who hated our neighborhood? We all did. Greta nodded but she didn’t look reassured. “Why is she mad at the world?” she asked. “What does the world have to do with it?” I sighed as I kept holding her. How could she understand what that meant? “It means she’s mad at everybody and everything even if she doesn’t mean to be. But she loves us Greta and people say things they don’t mean when they’re angry about their lives. They blame people they love without meaning to. You understand that don’t you?’ She nodded but didn’t understand any more than I did. That night as I lay on the floor wrapped in nothing more than a large stained blanket I allowed my thoughts to dwell on my mother. I remembered how loving and pretty she always was. Dad made an effort to buy her better clothes than he did Greta and me. He even brought her make up and fake jewelry whenever he could. On pay days he never failed to come home with flowers for her and the ice cream for Greta and me. We enjoyed that and mama would wash her hair and wear some make up. These days she was neglecting her appearance unless she had a job interview. Only then would she comb her red hair and put some make up on her face. She owned two business suits and kept them ironed and hung in the closet for those occasions. When she was pregnant with Greta she had been overjoyed. I was jealous like most children were about new siblings but that didn’t last long. Greta had been such a sweet and beautiful baby that somehow slept all night on most nights. I was expected to help mama with the diapers and bottle feedings which I did. 9 But I didn’t mind doing it especially when she could follow me everywhere babbling and always trying to talk to me. She was so adorable every time she did that. There were times I’d be annoyed but most times I’d be a sucker as I melted most times she followed me. Mama had been such a loving mother during these times. While dad worked she saw to our needs. There were days we didn’t have enough to eat, but she made sure we children had enough even if it meant her giving us some of her meals. She always had a smile for me when I came home from school and I’d take over with Greta just to give her some breathing room and she was always grateful for that. At some point in the evening she’d sit with us wanting to know how our school days went. Since we had no TV we did spend a lot more time talking, probably more than most families back then and even today. I remembered her being so romantic and loving with dad even though they slept in the living room. They tried to be quiet but sometimes we heard things we shouldn’t have back in the room. Or really I did since Greta fell asleep right away. Maybe sleeping on the bed made all the difference but it’s more likely I was the kind of person that kept my thoughts too active which would then keep me awake for hours. (This along all the discomforts I faced at night) She often knitted us sweaters and patched up our clothes whenever she could especially with the freezing apartment we had to deal with in the winters. Sometimes she sewed clothes for us too. But it was those sweaters that kept us warm for we wore up to three of them whenever the weather was too cold and there was no money for coats. And it did get cold very cold in our apartment! There were many nights she’d keep Greta and I huddled with her in the living room couch for warmth. In the mornings she’d turn on the stove and have us get dressed by it for we never had heat. 10 As usual there wasn’t enough money for anything. Even so Greta and I still felt loved and were able to be patient as daddy hoped for a better future. I hoped with him. I believed as he believed. I worked hard in school hoping he was right about education being the key to our escape one day. I dreamed of the day I’d be able to get us out of here. I’d buy a house for us way out in the country somewhere far away from here. As for dad he’d always been good to her as well as to us. Dad was my hero. He was the only person who thought I could have a future as a baseball player one day if I really wanted that. I thought about it many times for I was very good at stick ball. Others including my own teacher scoffed at the idea and I already said mama hated the idea she outright loathed it. I still remember one day when I was in the third grade. My teacher Ms. Ross went around the class room, asking us one by one just what it was we wanted to be when we grew up. I could still hear my fellow classmates like Justin Anderson who wanted to be a doctor and Mabel Roberts who said she wanted to be a teacher just like Ms Ross. Ms. Ross had nodded and smiled approvingly at those responses. When it was my turn to say what I wanted to be I’d dreamily responded “A baseball player just like Roberto Clemente.” I was serious but Ms. Ross frowned and shook her head while some kids laughed and giggled. I’m sure that was provoked from her deep disapproving look. “That’s not a realistic goal Thomas.” she said as some of the kids began to laugh. “You need to focus on something far more realistic than that. A baseball player would be wonderful but it’s a very hard profession to get into. I don’t want to discourage you but it would be very far fetched. It’s nice to have dreams but that’s all that would be for you a dream. I think you need to focus on a more realistic profession like doctor or teacher too.” 11 “But you always said we could be anything we wanted to be.” I reminded her a little resentful at her doubts. How did Roberto Clemente make it a reality? How did Babe Ruth? Joe Dimaggio? I wanted to ask this but I waited for her answer. She shook her head. “Well that’s true. But there are goals then there are dreams. Goals are easier to obtain than far fetched dreams.” She had already said that but it still didn’t answer my question. She moved on with the class as if she wanted to escape the question, while leaving me wondering why dreams couldn’t be achieved like they were for those players. I was crestfallen as I walked home that day. I actually cried and that was how dad found me when he came home from work. I relayed everything to him. I expected him to agree with Ms Ross the way mama did when I told her the story. However dad disagreed with both of them and assured me that if that was my dream then by all means I should to pursue it no matter what. “A teacher should not be the one to discourage you.” he said looking somewhat angry. “She’s right that dreams are harder to obtain but they can be obtained. It will be hard very hard. But not impossible. If you really want it then by all means go for it Tommy. You can do anything you set your mind to, but do know it will take a lot of hard work It was hard for Clemente, and Ruth and think of Jackie Robinson. He not only struggled to play but it was harder because they took him as the first black player which only added to more pressure for him. But he did it and it took strength and determination. And even if it doesn’t work out at least you can say you tried it. Not many people have the courage to pursue hard dreams but just pursuing it will be good enough.” I nodded but I still saw my teacher’s disapproving frown. “But dad mama called it unrealistic folly. She agreed with Ms. Ross. I like playing but they made it sound impossible and mama just hates it so much. 12 Why does she hate it so much?” I could never understand that. He disagreed. “No way son. Like I said it will be hard. But nothing in this life is impossible once you set your mind to it like I said before. You just follow your dreams no matter what and don’t let anybody discourage you. As for your mother hating it, well don’t worry about it. She’ll come around eventually and if she doesn’t then she’ll get over it. It’s your life Tommy. It’s your life.” I wanted to believe that but somehow even back then I had my doubts. After that conversation he went out of his way to help me. We couldn’t afford a real bat yet so he joined me and my friends in playing stickball. He spent hours teaching me the basics of the game and he sometimes stopped by the yard to watch our games. Dad was an old Brooklyn Dodgers fan who played a lot of stickball himself when he was a kid. But now that they had left New York as did The New York Giants he became a New York Mets fan as he could never dig the New York Yankees despite their rich history. He couldn’t stand them and never could. Dad truly loved baseball so he offered any tips he could in helping me improve my game. And I listened to everything he taught me. I was determined to be the best player in our yard. My friends and I were amazed that he could still play as good any young man out anywhere. I really wished to be in little league but dad couldn’t afford that so I had to make these outings the best I could make them. Our friends around the neighborhood never knew what to make of my passion for a game we were only playing outside for fun. I loved it when Dad joined us those were the best times when he joined us. Unfortunately it became another reason for him and mama to fight. In fact looking back a lot of their fights may have begun with this. Mama still didn’t approve of my ball playing and didn’t want dad helping me. Now that he often did she accused him of undermining her. 13 On top of that she accused him of wanting to be something he wasn’t which was young. She stung him with that and I was getting really steamed at her. It was so uncalled for and unnecessary to treat him the way she was treating him now. After getting the reaction she wanted she then go on accusing him again and again of not caring about her. Mama admitted to just hating the game period. She considered baseball players to be sloppy, sweaty, and just no good. She always looked down on them as being uneducated, uncouth, and just plain savages not to mention brainless idiots. Mama and I had shared some closeness but this put some strain between us. It hurt that she could never share my interest even on a small level. One day I tried to tell her about a home run I hit, but all she could do was drill scornful eyes at me. “Swinging a stupid stick when you should be here doing your chores!” she yelled. “Keep it up Tommy. Keep disobeying me and not doing what you’re supposed to! Just keep undermining me you and that stupid father of yours!” Now I too was stung by her but I gave up arguing with her. I always did my chores but for mama these days none of us were doing enough. Funny thing was her behavior towards me and dad did begin during these baseball fights. She disapproved of our game and her behavior towards us became worse and worse. As for Greta she and mama had been really close but now Greta was becoming afraid of her so this made her avoid her. That hurt just to notice. It hurt even more how mama didn’t seem to care or pretended not to which was likely the case. Greta looked confused from this but she never said anything. Mama was slowly abandoning her responsibilities even for us her own children. She wasn’t waking us up for school anymore so dad would have to wake me up leaving her asleep on most mornings. It 14 was now up to me to make sure Greta would get up, get dressed and be ready for school and on time. Our school wasn’t far from our apartment so I often walked her anyway but now I had to see to all her needs since mama wasn’t anymore. It was June 1974 and school was almost over. Greta and I didn’t own too many clothes so it wasn’t hard finding something to wear. I left her the room while I dressed in the bathroom. That particular morning dad pulled me aside the minute I came out of the bathroom. “I want you to come straight home today.” he whispered. “No hanging out today. No stickball playing not today or for a while actually. You’re to come straight home to your mother. I don’t want her alone too long. I’ll try to get here as fast as I could but I need you to do this okay?” I had no choice but to agree. I was worried about mama too. She was awake now but she sat on the couch not acknowledging us. She wore her dingy white robe while her red hair was greasy and very unkempt. Mama was a beautiful woman and still a very young woman to be acting like this. “Daddy, what’s wrong with her?” I asked. This was nearly a week after waiting outside our apartment and it seemed to be getting worse. Dad shrugged. “I don’t know. Maybe I need to leave her only if I do how will the rent get paid around here? If only she could find a job then maybe she can decide for sure if she wants me to leave.” He looked so miserable saying that and I felt so bad for him and for her for I loved them so much and wanted them back the way they were. I wanted them to stay together. “Maybe I should miss school today to stay with her.” I suggested. Dad waved that suggestion away. “No, that won’t be necessary Tommy. I don’t want you miss15 ing school especially now that’s it’s almost over. Just make sure you come straight home you hear me?” I was going to suggest a doctor for her but didn’t. Daddy repeated his demand. I agreed knowing I had to do it. Mama stayed on my mind that day. I worried about her but I still managed to get my homework and write my class notes. The moment the clock said three o’clock I was out picking up Greta and rushing us home. As we walked one of my friends Freddy Torres was calling me. I stopped hoping he’d make it quick for I wanted to get to mama right away. Freddie was a nice Puerto Rican who lived in my building. We were the same age and he was on my stickball team. I’d known him since he was four when his parents moved into the neighborhood and we were really good friends. “Coming to play today?” he asked. “Everybody was talking about the way you hit that old heavy ball out of the yard the other day. No one could believe it.” “I can’t today Freddie,” I said. “Mom doesn’t feel too good and I have to go check on her.” Freddy and his family knew mama and our family. I already told Freddy about the way mama had been changing for we trusted each other that way. He was one of my best friends in my building and he never teased me or Greta about our clothes or about being poor like other kids did and more often than not he’d stick up for me in school. Freddy looked disappointed and I was too. I did want to play. It was nice to know that others were impressed with the way I hit a baseball. “Tommy is she still complaining about everything like you told me?” He smiled at Greta and gave her a green lollipop he had in his pocket. She thanked him as she quickly unwrapped it. I looked around me before answering then started walking fast again. Freddie 16 kept the pace thank god. I tried to keep my voice low so Greta wouldn’t hear too much what I was saying. “Yeah she’s getting bad now. She screamed at me and Greta yesterday and she keeps fighting with my dad. I don’t know man. She’s starting to scare me. I know she’s been looking for work but she gets mad when she doesn’t find anything. Remember not to tell anyone about this like I asked you before.” He crossed his heart. “You know I won’t. When have I ever spilled any secrets you told me?” I had to admit never that I knew of. We walked together to our building and I rushed inside my apartment anxious to see mama and hoping she was her old self again. How I wanted to see her old self again. But we found her sitting by the window smoking a cigarette. Greta held on to my hand but her eyes were fixed on mama with a yearning that made me sad and angry at the same time. Mama went on smoking and didn’t bother turning around to acknowledge her children who just came home from school. “Go to the room and do your homework.” I commanded Greta as softly as I could. She nodded and sadly headed to our room looking back only once. I heard the door close. “Mama we’re home.” She didn’t turn to look. “Mama did you eat anything today?” She had only one lopsided red ashtray and it was full to the hilt. It didn’t seem likely she ate anything. She may have had some coffee but she didn’t eat I could tell. She didn’t look too good. She slumped against the window looking out at the hot day. “Want me to fix you anything mama?” I didn’t know how to cook but I could at least toast some bread. Anything was better than nothing at all. She finally turned to face me “Get away from me.” she hissed not sounding anything like the loving mother I knew and loved so 17 well.” She blew smoke in my direction while I could only stand too stunned to speak. I could not get used to her snapping moods regardless of how often I saw them now. “I don’t need anything from you Tommy. Just go away and leave me alone. I’m tired of this life and tired of this place. Tired of nobody giving me a chance to work. I do my best on these interviews and it’s never enough. And believe me there’s nothing you can do for me so don’t bother asking. You’ve done enough to me to last me a lifetime.” What was that supposed to mean? I had done enough? I must have missed something but then she wasn’t thinking straight especially smoking so many cigarettes on an empty stomach. “Mama please don’t talk like that. I’m sorry you haven’t found a job yet but Greta and me are still here. We love you. Greta got a hundred on her spelling test today and she really wants to show you her paper. I’m doing well in school and dad loves you too. Aren’t we enough? We don’t care if you have a job or not and we know you’ll find one soon anyway. Dad said it takes time and patience especially now. Jobs are hard to find.” She turned her back to me without answering or acknowledging anything I said. For a few minutes I didn’t know what to say or do. I just stood staring at her back whule waiting. Mama lit another cigarette and glared at me. Our tiny apartment only had a living room that we had to split into a kitchen. A small stove and refrigerator was in the kitchen side near the door. Our small plank table was there too. In the living room was the beat up sofa bed that may have been white once. Since we had no TV or radio our apartment was quiet so much of the time. Only now the silence was deafening. “Mama what are we having for dinner?” I asked. I noticed the empty cupboards seeing nothing we could make. It was the wrong question to ask though. 18 “Dinner huh?” she spat. You have the nerve to ask me about dinner? Make your own damn dinner Thomas Hulette. I’m no short order cook and I’m tired of being one. I’ve given up enough for stupid children. Here I am stuck in this hellhole all because of you and your father. Cook your own dinner and see if you can manage to cook for your sister too though I doubt you can do anything useful.” Now for the last time leave me the hell alone!” If her words could have drawn blood they would have. All those words were slaps to my face maybe even punches. I left her then. There was nothing else I could say to her. This is the end of Chapter one. 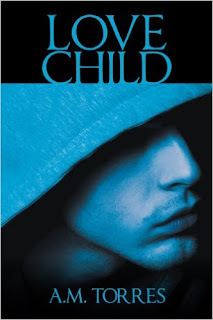 Love Child is under the suspense and thriller category. There are two editions on Amazon. 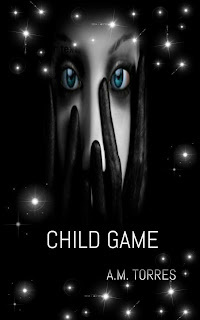 Here's the link for one: http://www.amazon.com/Love-Child-M-Torres/dp/149545634X/ref=tmm_pap_title_0?_encoding=UTF8&qid=&sr= It is also on Amazon Kindle for #2.99. Thanking all readers. Thank you.